Postman is an API Development environment used by developers to make API development simpler, better, and faster. Used by 5 million developers and more than 100,000 companies to access 130 million APIs every month, Postman is the leading API development environment on the planet. With users like Microsoft, Adobe, PayPal, and Atlassian, Postman is the platform of choice for top companies looking to improve their APIs. Postman’s VP of Engineering Shamasis Bhattacharya wanted to find ways to cut their rising cloud costs and viewed Spot Instances as an essential ingredient to doing so. But as a platform supporting nearly 5 million API developers, Postman needs their AWS environment to remain reliable. “As it manages a core aspect of our product, we couldn’t tolerate any mistakes or downtime,” said Bhattacharya. “Spot Instances, for all the cost savings they offer, do not offer any SLA around downtime limitation and were too risky for Postman’s team to leverage”. After exploring many alternatives, Postman’s team has decided to go all in with Spotinst Elastigroup. Elastic Beanstalk was a staple of Postman’s infrastructure. When Postman started, the most important thing was to release their product updates to customers as quickly as possible, and Beanstalk’s promise of just getting your ZIP file ready and hitting deploy made that possible. 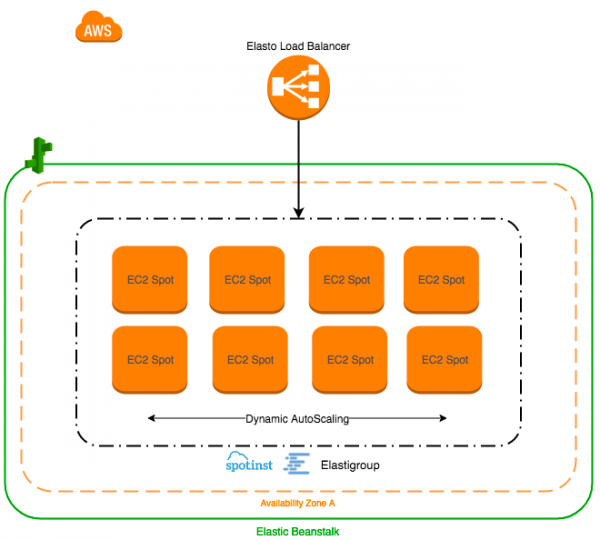 Since then, Postman has relied on Beanstalk for most of their infrastructure, meaning that any Spot Instance solution needed to integrate with Elastic Beanstalk. After discovering Spotinst’s Elastic Beanstalk integration, Shamasis and his team decided to give it a go, but not without hesitation. To his delight, Spotinst was simple and required no change in processes. Within no time, Postman’s team was running a majority of their Beanstalk workloads on Spot Instances without making any architectural changes or adjusting their workflow. Ultimately, Postman’s team says that their favorite part about Spotinst is that you don’t have to manage it.